¡Asi se dice! 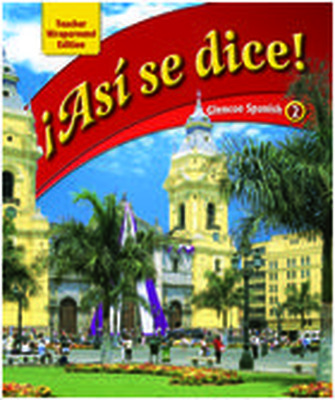 provides more in-depth study of culture through the GeoVistas section, which explores 21 Spanish-speaking countries. Includes more proficiency activites such as comic strips, games, and picture sequencing to help develop communicative proficiency. Increases students' aural proficiency through the use of two motivating video programs on DVD to teach culture, vocabulary, and grammar. 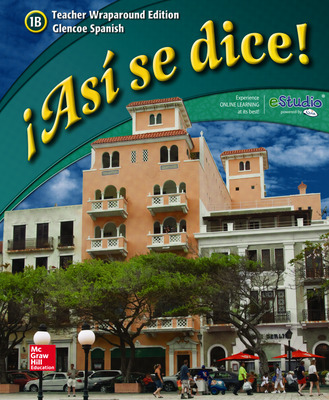 eStudio®, ¡Asi se dice! 's online high school program offers online access to the Student Edition and Workbooks with integrated audio and video. Teachers access eStudio® to assess student progress, post assignments and more. Offers a record-and-playback tool that helps students practice their pronunciation. Features a Partner Voiceboard that lets students locate partners online, record a partner activity, and submit recordings to teachers. eStudio® includes an eBook, and eWorkbook and Audio activities, ePre-AP Workbook, entire audio program, entire video program, diagnostic/prescriptive content, and interactive features (online recording, online partner chat, and Teacher Management System).